Holy cow! We haven’t been gone all that long from Amarillo. We’re coming back for a quick visit and we’re going to see the change taking place at a rapid pace in the city’s downtown district. A friend sent me this picture. It is of the multipurpose event venue — the “ballpark,” if you will — that’s under construction across the street from City Hall. I am beginning to believe that, by golly, they’re going to be ready for the first pitch to be tossed in April 2019. 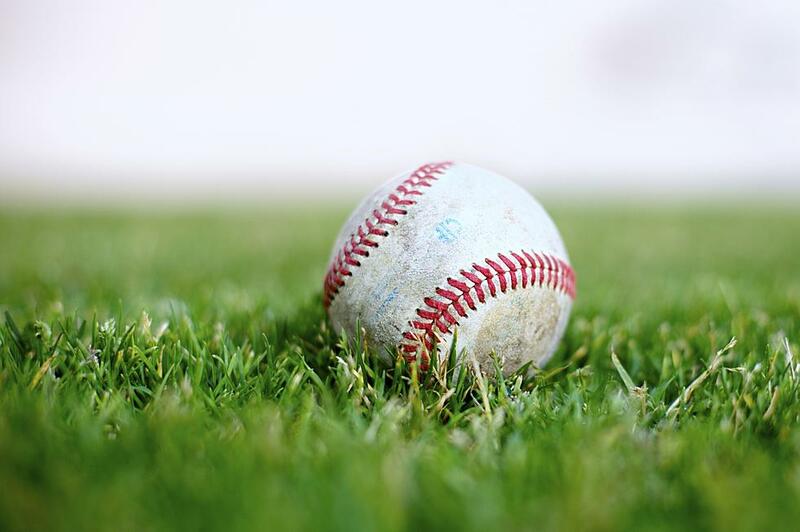 The ballpark will be home to an as-yet unnamed AA minor-league baseball team that’s affiliated officially with the San Diego Padres of the National League. I’m still pulling for Sod Poodles to be the new team’s name. So help me I don’t know why, but I have changed my initial opinion of that name that showed up on a list of finalists under consideration. The ballpark continues to be very big deal for the city. It will cost an estimated $44 million. It will seat about 5,000 baseball fans. My hope — perhaps it’s even my hunch — is that the ballpark will be full of fans when someone throws the ceremonial first pitch on Opening Day of the Texas League season in Amarillo. I look forward to casting a gaze up close when we venture to Amarillo in a few days. We’ll be back just a few weeks later to attend a concert at the Civic Center. I won’t be surprised to see that the ballpark/MPEV has sprouted even more dramatically as the city marches its downtown district to a bright future. I hate wishing for a drought to continue in the Panhandle of Texas, but another dry winter — such as what the Panhandle experienced this past winter — will enable the contractor to finish the job on time. I am going to send good vibes from the Metroplex back to Amarillo. 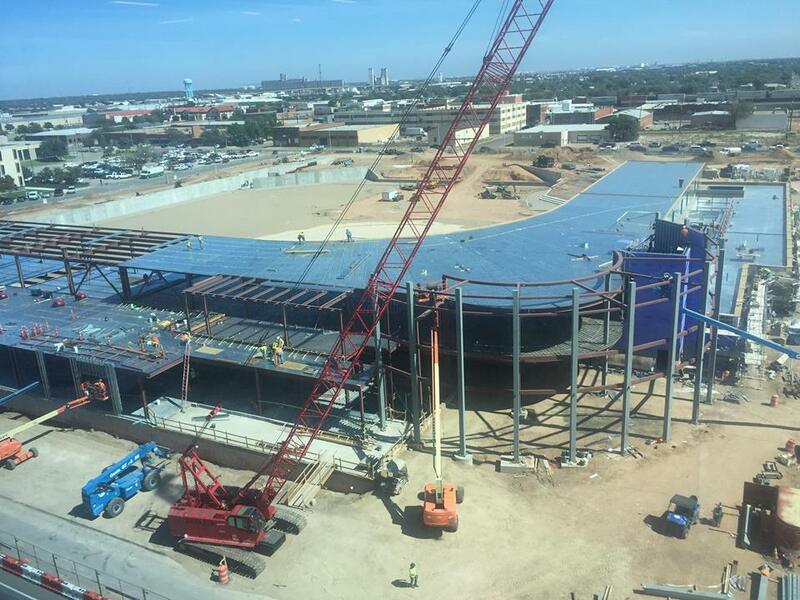 An Instagram picture posted by a friend of mine shows that the multipurpose event venue under construction in downtown Amarillo is taking shape, literally. The digging and excavation must be essentially complete. They’re beginning now to erect the superstructure of this community-changing venue. To which I say: woo hoo!! When it’s done the city is going to have a 4,500-seat ballpark downtown. They’re going to play AA hardball beginning in April 2019. The San Antonio Missions are relocating to Amarillo. The name of the new team has yet to be announced. I’m still pulling for Sod Poodles, but that’s another story for another time. Today, I want to express yet again my pride in Amarillo for the bold measures it has taken to reshape the personality and the character of its downtown district. The MPEV is going to be the major player, the star of this extreme makeover. I recently drove into downtown Amarillo to purchase some tickets at the Civic Center box office. I zipped past the parking garage and noticed that the retail venues are still vacant. I keep reading that tenants will start pouring into the storefronts when the MPEV gets much closer to completion. Let’s hope it happens. Gotta hurry, gang. April is just around the corner. I saw a story in the Amarillo (Texas) Globe-News and chuckled quietly as I pondered how I might respond to it. It’s about an independent baseball team that plays its home games in Grand Prairie, near Dallas. They call themselves the Texas AirHogs. But here’s where the chuckle comes in: Its roster is populated by Chinese athletes who are getting some playing time while preparing for the Asian Games in 2020. There’s more. This team used to play some of its home games in Amarillo. The team once was based exclusively in the Panhandle, then it decided to split its “home” schedule between Amarillo and Grand Prairie. Over time, the team decided to move exclusively to Grand Prairie, where it now is a training ground unit for the Chinese national baseball team. My head is spinning over this one. And it damn sure makes me glad that Amarillo is on the verge of welcoming a AA major-league-affiliated minor-league team that next spring begins playing hardball at the downtown Amarillo ballpark that is now under construction. There won’t be this kind of Mickey Mouse baseball going on with a team associated with a bona fide Major League outfit. 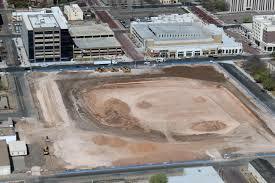 They will play baseball in a shiny new park, ushering in a new era for the city’s profound image makeover. Good luck, Grand Prairie. Amarillo’s fortunes have taken a significant turn for the better. I made what I consider to be a startling discovery in downtown Amarillo, Texas. After parking my car on a lot behind the brand new Embassy Suites hotel, I walked along Fillmore Street and turned the corner onto Sixth Avenue. I glanced across the street at a row of mostly empty storefronts along a shiny new wall — which I realized after a second or two was the north face of a new parking garage. I glanced eastward toward the Civic Center just to be sure I hadn’t become disoriented. There it was. The Civic Center restored my bearings. The discovery? It is that downtown Amarillo bears next to zero resemblance to the district I’ve come to know during my 22 years living in this Texas Panhandle community. The Embassy Suites is now open for business. The parking garage is finished; indeed, I saw vehicles parked inside the structure. My reason for venturing downtown this evening — in the rain — was to attend a retirement reception for a longtime friend and source I relied on when I worked for the Amarillo Globe-News. Gary Pitner is retiring as head of the Panhandle Regional Planning Commission; I’ll have more to say about Gary in a later blog post. My point with this post is to take note of the immense change that has occurred in downtown Amarillo — and the change that is still occurring. Downtown Amarillo’s evolution is a highly positive event. I sort of think of it as a butterfly that emerges from some sort of cocoon. I don’t want to sound mawkish here, but that moment as I made the turn toward the Embassy Suites door also was a realization that the evolution is real. There’s much more to come, of course. That ballpark is going to be built across the street from City Hall. They’ll take about a year to build a 4,500-seat multipurpose event venue. 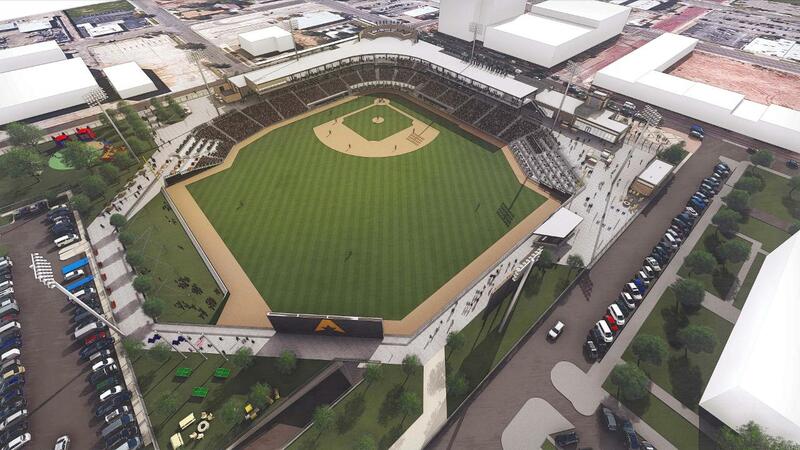 By April 2019, the MPEV will be done and they’ll toss out the first pitch for a AA minor-league baseball season. I’m beginning to think when that time arrives that downtown Amarillo will be even less recognizable then that it is today. How does downtown revival boost an entire city? Amarillo Mayor Ginger Nelson will get a chance soon to explain — I hope in some detail — an important question facing the city’s civic, business and political leaders. How does downtown improvement ripple its benefits across the entire city of roughly 200,000 residents? Nelson is going to deliver what’s being billed as a State of the City speech on Oct. 3 at the Civic Center Grand Plaza Ballroom. It’s a breakfast event that lasts an hour beginning at 7:30 a.m. There has been a lot naysaying going on around Amarillo for the past, oh, half-dozen years or so ever since the city began getting serious — finally! — about reviving its downtown business/entertainment district. I keep hearing the bitching about non-downtown neighborhoods being “neglected” for the sake of downtown improvements. The mayor, newly elected this year along with the entire City Council, has a chance to offer a serious explanation of just how downtown revival can — and will — deliver benefits to neighborhoods in all directions. 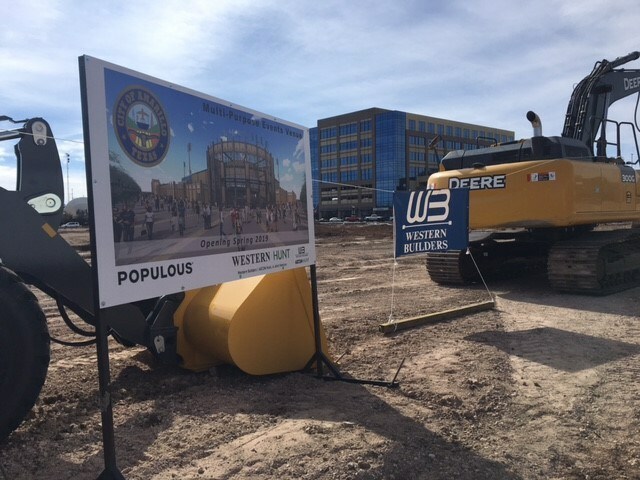 Amarillo will break ground shortly on a new downtown ballpark, which is being touted as the crown jewel of the city’s downtown revival. In April 2019, they’ll throw out the first pitch for a minor-league AA baseball game to be played at the venue. That’s not the only type of activity planned for this venue. 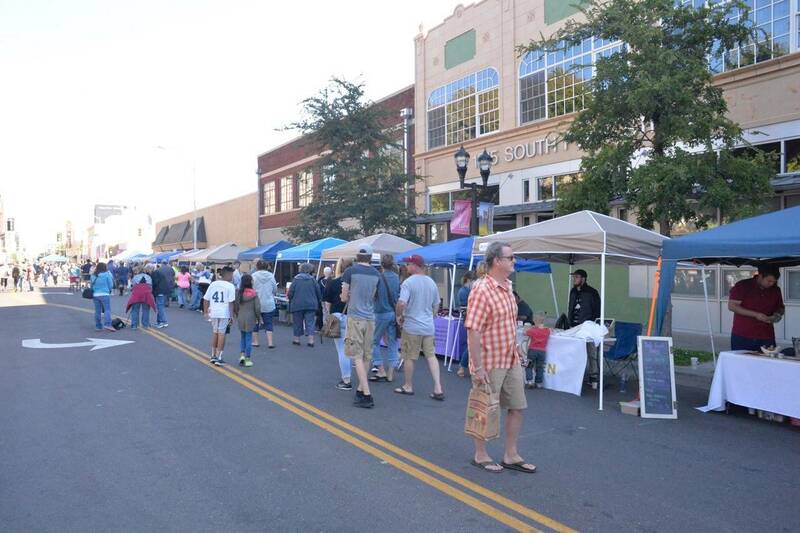 Many folks have designs of it being a place for community events featuring music and assorted forms of entertainment; it’ll be a gathering place for folks to sell their wares. Already the downtown area has been improved and gussied up far beyond what it was two decades. What in the world is wrong with that? I know this only anecdotally, but my experience has told me as I’ve traveled around the country over many decades is that thriving, lively cities generally have a single thing in common: a thriving, lively downtown district. Is Amarillo a shining city on a hill — to borrow President Reagan’s phrase — devoid of problems? Of course not. The mayor will need to deal with that, too, as she talks to us. Explaining all of this is what Mayor Nelson faces as she delivers her first State of the City speech. My hope is that this is the first of many such conversations that our city’s presiding elected official has with her constituents. My hope, too, is that it continues well beyond the time Ginger Nelson wields the gavel at City Hall. A glimpse of Amarillo’s future? I acknowledge readily that I don’t get out as much as I should. Retirement has turned me into a bit of a homebody, except when my wife and I hitch up our RV to the back of our pickup and hit the road for points hither and yon. Today, we did venture out. We went downtown. We met our son at Amarillo’s Community Market that was up and running in front of the Chamber of Commerce building at 10th Avenue and Polk Street. I have high hope that today we might have gotten a glimpse of Amarillo’s future. It’s one that bodes well for the city’s health. They’re going to break ground pretty soon on that ballpark/multipurpose event venue across the street from City Hall. The MPEV will need to get done in a hurry, in time for the 2019 minor-league baseball season. They’ll toss out the first pitch in April 2019 when the city’s new AA baseball team takes the field. 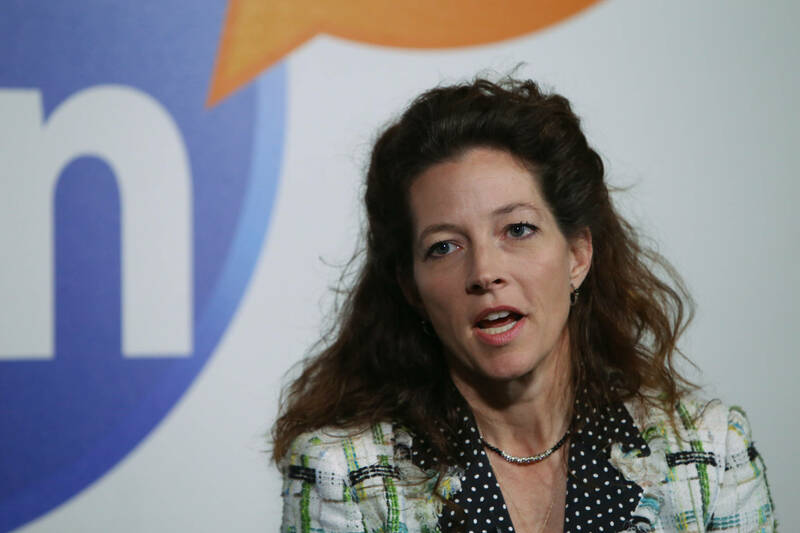 What’s in store for the future of the city? The MPEV won’t just be a ballpark. The “multipurpose” element of the structure tells me they have plans to play host to events such as, oh, the Community Market and other events where folks from Amarillo and points beyond can enjoy themselves. As we meandered around the downtown area today we noticed lots and lots and lots of construction under way. A bit north on Polk, they’ve gutted an old retail store to make room for new shops. Farther west on 10th we noticed the old Firestone structure has been gutted out, too, in anticipation of more loft dwellings. 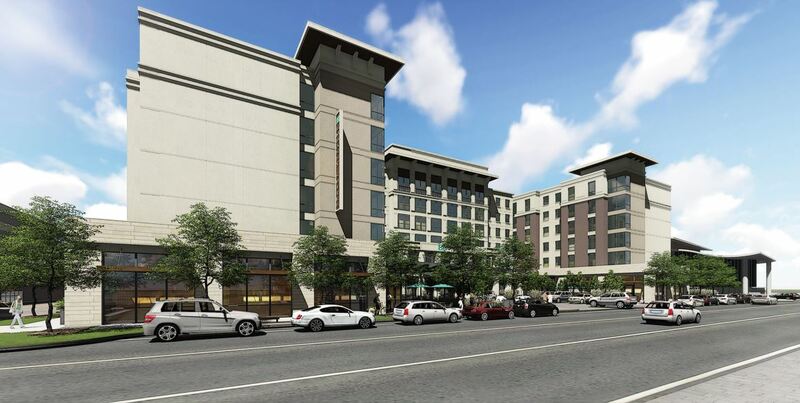 Yes, we have that Embassy Suites hotel about to open. The parking garage is all but done. The hundreds of folks with whom we mingled today ought to be sure to keep coming back downtown once all those projects are completed. I’ve said before in this blog that downtown Amarillo bears little resemblance to the district my wife and I first saw when we arrived here in early 1995. Indeed, the central district on this day looks a bit more spry than it did just two or three years ago. The not-so-good news for us is that we likely won’t be Amarillo residents when all this work is done. We plan to relocate downstate. It’s not all bad as far as we’re concerned. That RV we own travels pretty well in this direction and we intend to be frequent visitors to the city we’ve called “home” for the past two-plus decades. We believe we got a glimpse of what lies ahead for the city’s downtown district — and we are going to look forward to seeing it come to pass.